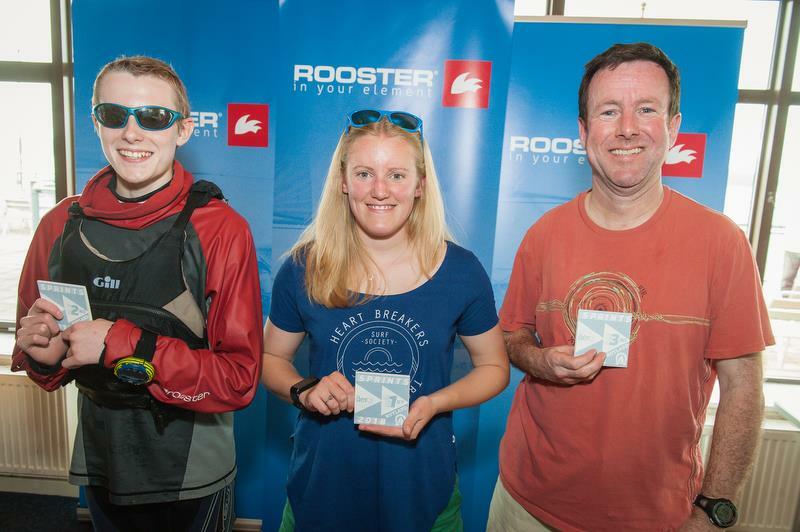 For the first time in RS Sprint history, the RS Aeros were welcomed to Rutland Water for their inaugural event. As always, the sun was shining and a light breeze swept across the water. With eight boats registered for the event, there was an amendment to the SIs to ask sailors to sail a 7m rig or less to keep it competitive and one Class. 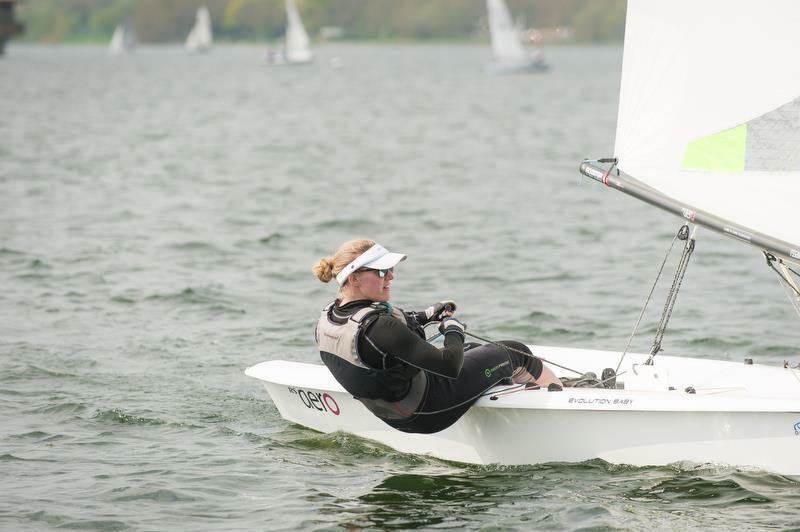 Being the 13th Sprints for which the Rutland SC Commodore had been Race Officer, the event got underway quickly with the RS Aeros. All classes sailed the same course and the format was six races in the day, one lap round the backwards 'M' course. Steve Stewart from Yorkshire Dales made a quick breakaway in the first race to secure his first win. The second race was slightly disrupted at the first windward mark when Rutland Belle, the reservoir's 110 person water cruiser, barged in on the inside line! 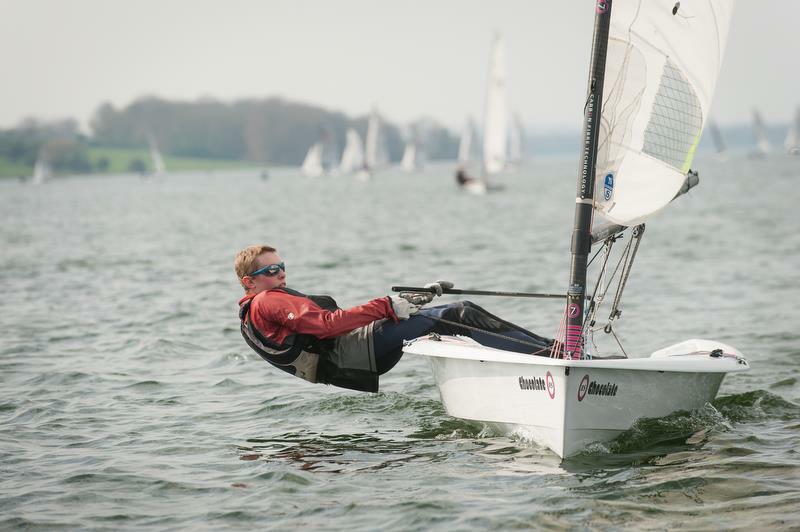 Ben Tylecote from Rutland SC had made good progress on the first beat and was well positioned to get ahead of Rutland Belle, whereas the rest of the fleet was turned on its head and all was to play for. With Ben well ahead and a win secured, the rest of the fleet fought it out for the remaining places with brother Jamie Tylecote taking 2nd. Race three saw racing resume without external disturbance, and Steve and Emily Watson (Bowmoor SC) pulled ahead to fight it out on the last run for the race win. Emily snuck ahead just before the last mark and managed to take the win. With the wind dying, race four began with a slow start. Most of the fleet stayed left, whereas Emily broke right in search of more wind. Emily's gamble paid off and gave her a clean break from the rest of the fleet all the way to the finish. The rest of the fleet battled it out for the race in what was at times very painfully slow conditions. Nick Neve from Rutland SC claimed second, Steve in third and Ben in fourth. With two bullets Emily pipped Ben to an overall win, but only by one point! Final results were Emily in first, Ben in second, Steve Stewart took third. Another great result for Ladies and Youth! 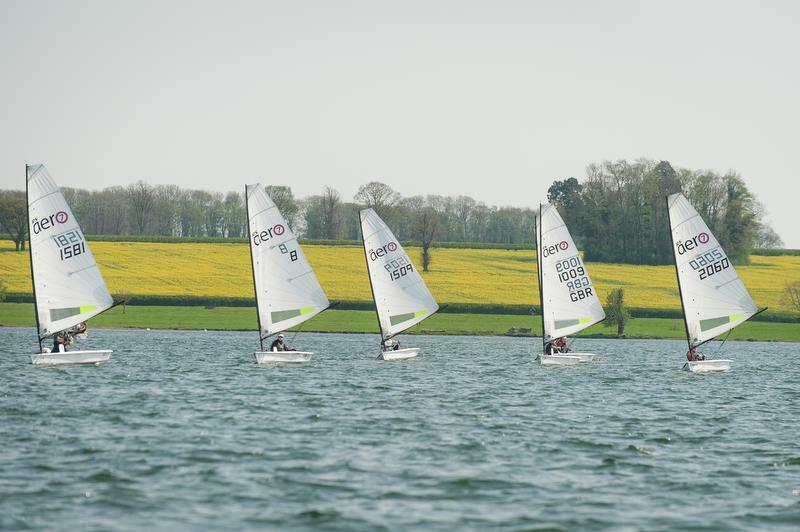 Big thanks to Rutland Sailing Club and RS for adding in the RS Aeros as a late addition, and I'm sure all the competitors will look forward to this becoming a regular fixture in the calendar next year (Sat 6 April 2019 is booked). Thank you to sponsor Rooster. Our younger sailors seized the opportunity of the RS Aeros being Saturday only and the RS Fevas being Sunday only to join Sunday's RS Feva Sprint racing too! In the Fevas James Mansfield crewed too glory and Jamie Tylecote finished runner up.